You’ll find all sorts of DIY car washing tips on the Internet. Some of these ideas are legitimate and others are an absolute waste of time. Clean headlights with toothpaste” is one idea that is circulating around the Web. Is it real or is it a bunk idea? Supposedly, toothpaste can restore foggy headlights. Read our June post to learn how headlight coverings become foggy. Some people have suggested that toothpaste removes oxidation the same way it removes food debris from teeth enamel. Does this method really work? Yes … but not really. Let us explain in greater depth. Hazy headlights are caused by oxidation from UV rays. It may also be caused by dirt buildup. If the latter, then yes; toothpaste of any variety suffices as a cleaning agent. The paste may remove light surface oxidation and even help preserve the UV protection coating. However, for severe oxidation caused by long-term UV exposure, toothpaste does little or nothing. In this instance, headlight restoration requires professional servicing. A professional can remove the oxidation and apply fresh UV protective coating. You may certainly try the method for yourself. This will clear your headlights to some degree if the haziness is caused mostly by dirt buildup. 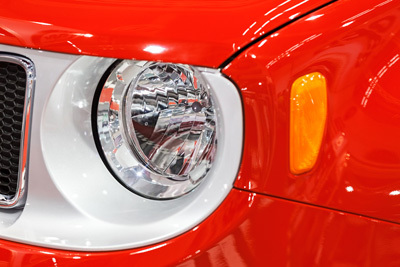 It won’t make your headlights look crystal clear and brand new, though. If you try it, apply a small amount of paste on the headlights and scrub with a towel or even an old toothbrush. Rinse and see how the results turn out. For long-term restoration bring your vehicle to Bellingham Detail Auto Glass. Some of our car protection packages include headlight treatment. Cleaning the headlights with toothpaste is not a useless hack, but it’s far from the results you can acquire from a professional.